Be Aware, Be Alert with DriveSmart Driver Alerts! The DriveSmart 61LMT-S Value Bundle combines our most popular accessories with the Drive Smart 61LMT at a huge savings! The Garmin DriveSmart 61LMT-S is an intuitive “travel guide” that you will want with you on your next outing whether around town or on an extended trip. 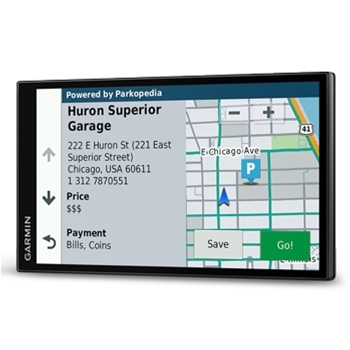 A 6.95” edge to edge glass display will provide you with detailed colored maps, useful icons, and birdseye and photo real images of the junctions and interchanges ahead. Avoid traffic delays with the LiveTraffic feature notifying you of upcoming construction, accidents, or any other issue that may delay your arrival time. Most instances, your 61LMT-S will even provide you with an alternate route to take so you can still effectively reach your destination, regardless of the issue ahead. Driving in unfamiliar areas can be nerve wracking. Let your DriveSmart device put your mind at ease with Driver Alerts notifying you of upcoming sharp curves, speed changes, cameras, and more keeping you more aware of what may lie ahead keeping you and others safe. Another added safety feature that ends up being more useful than people expect it to be is the Voice-activated navigation feature. 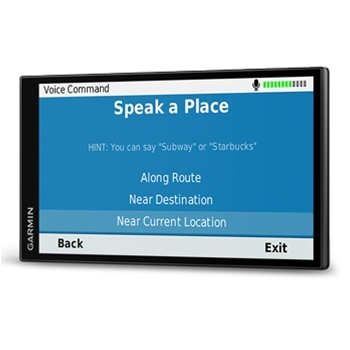 Simply say your “wake up” command to the 61LMT-S, and tell your Garmin where you want to go with a specific address, or have the unit find something specific such as a store, gas station, or restaurant. If your destination requires you to park inside a parking garage or lot, the DriveSmart 61LMT-S will provide you with not only the address of the parking lot or garage but also the pricing and availability within that space in which to park. Another plus of the 61LMT-S is it allows the Garmin BC30 backup camera to wirelessly connect flawlessly with this DriveSmart unit. 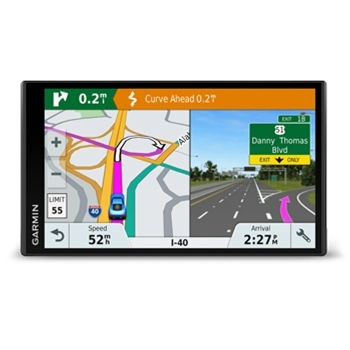 Now with Garmin’s LIVETRACK feature you can ease your friends and families minds when you head out on those long trips. No more guessing where you are or when you may arrive, Livetrack enables you to share your location in real time with friends and family using the Garmin Connect Mobile app on a compatible smartphone. A great feature just to let loved ones know you are OK, or to simply share your travels. Navigation made simple is the key concept of this DriveSmart unit. Purchase your DriveSmart 61LMT-S today and begin your next adventure. Value Bundle Extras: XS700 Padded Carry Case, Universal Friction Mount and Screen Cleaner.